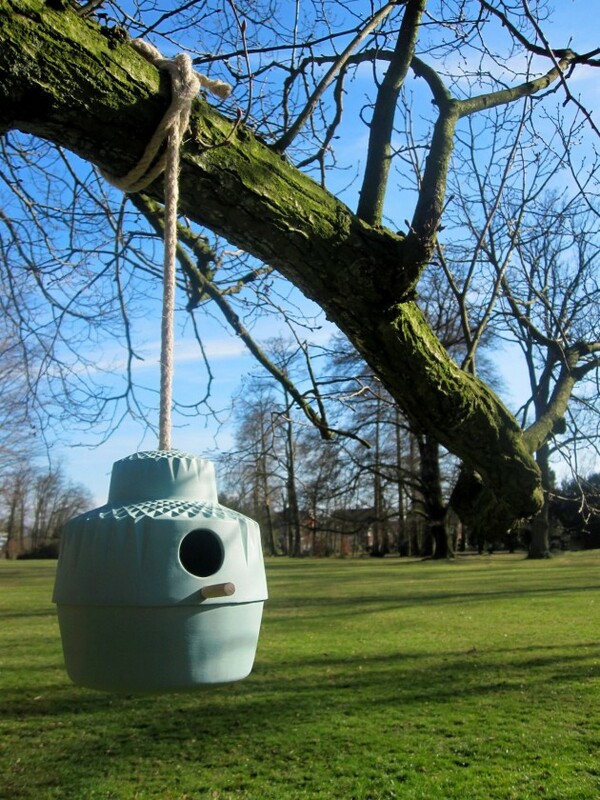 Dutch designer Lenneke Wispelwey has created a ceramic birdhouse named ‘Who Needs a Wooden House Anyway’. 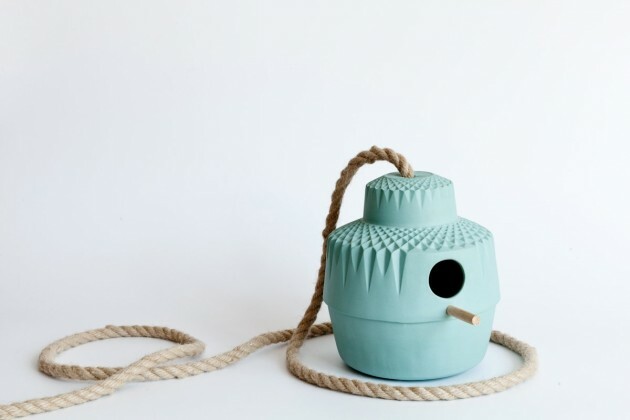 The story behind the birdhouse. 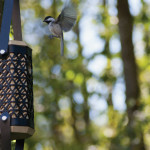 I really love all the birds in my garden, they wake me up in the morning with a backyard concert, a lovely way to start your day if you ask me. 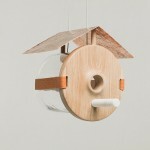 So I always wanted to make a birdhouse! but never took the time. Until there was a little design contest attached to a designfair which I participated in. The instruction: design something that is ecofriendly. Something. 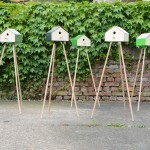 I cant remember the exact instructions, because the only thing I could think : perfect time to design a birdhouse! And I won first prize! For me this was a sign, to always do what makes you happy. 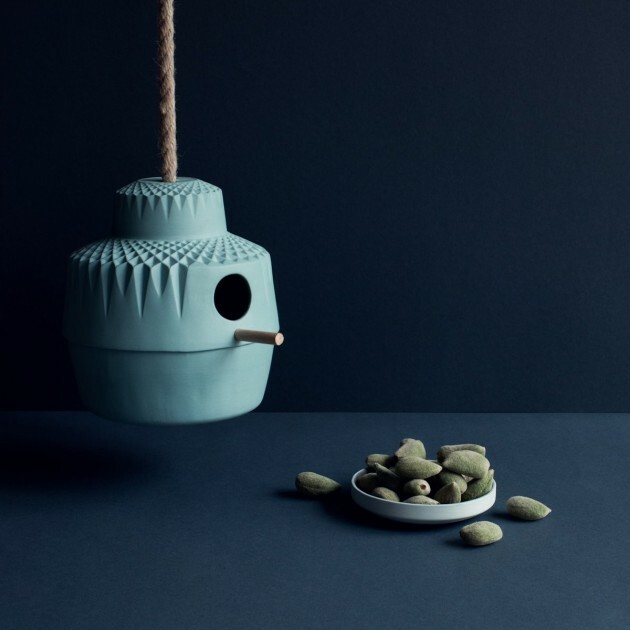 The name for the birdhouse was a tough cookie to crumble, so I asked my friends to help me with that..And there was one name that really cracked me up…Thanks to Robert Stienezen, friend and photographer. 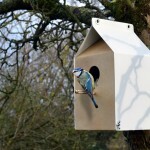 Our birdhouse has the title: Who needs a wooden house anyway? !